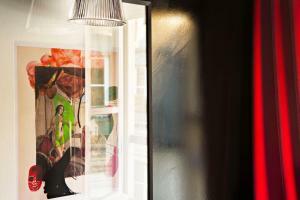 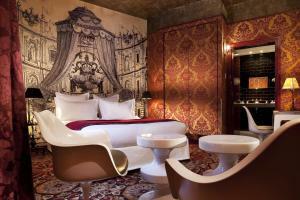 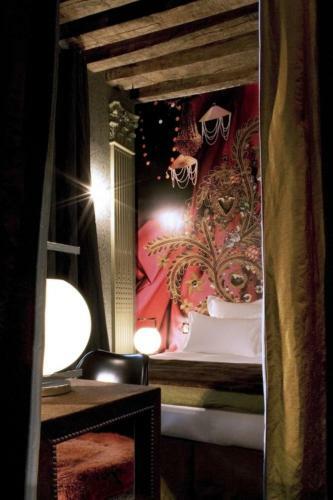 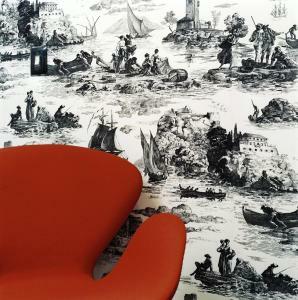 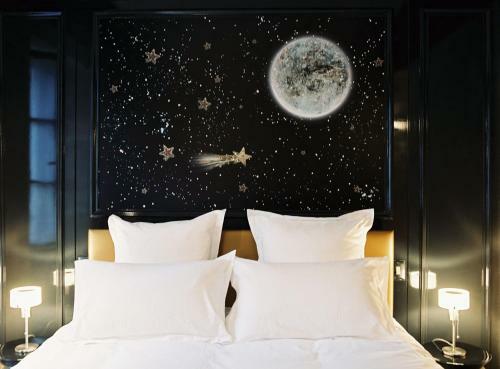 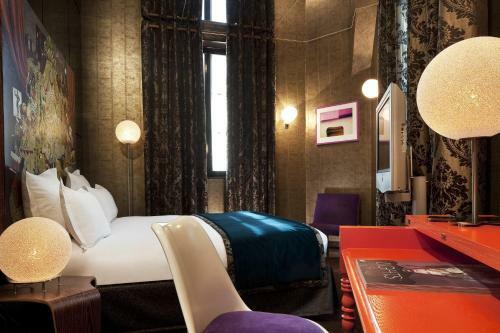 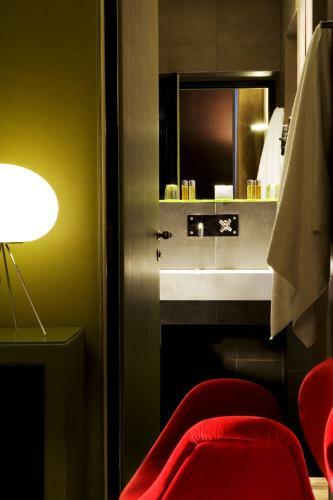 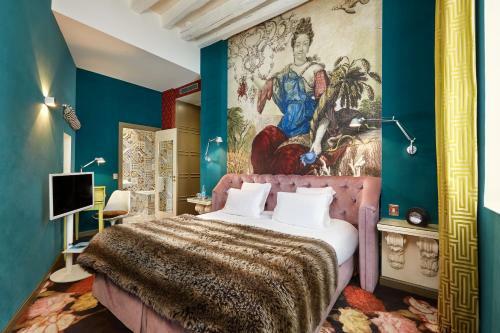 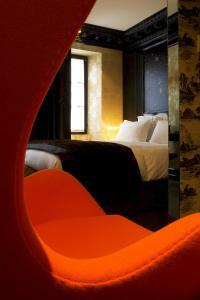 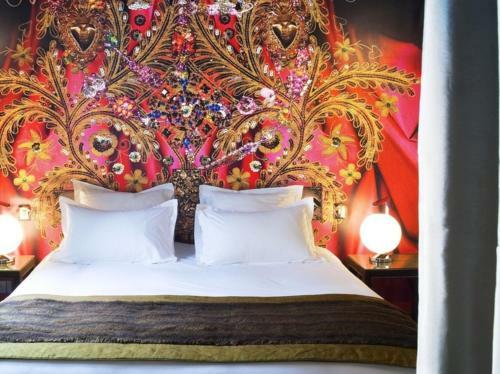 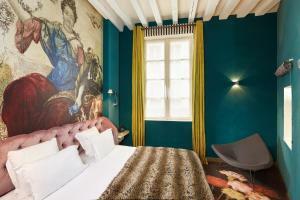 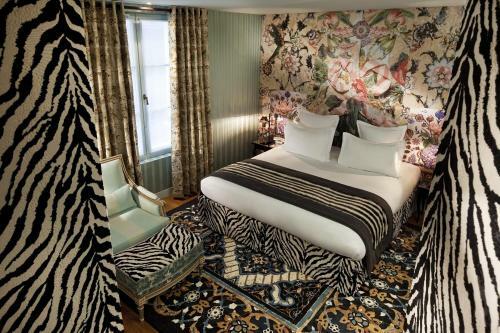 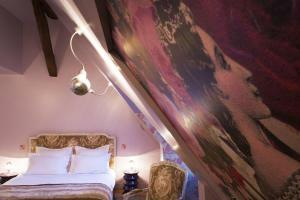 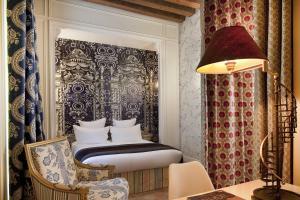 Located in the Marais district of Paris, Hotel du Petit Moulin is a boutique hotel entirely decorated by Christian Lacroix. 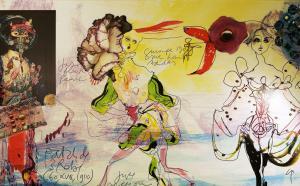 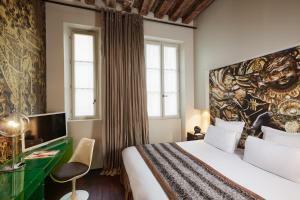 The Picasso Museum is only 300 metres away and Notre Dame is 1.5 km from the hotel. 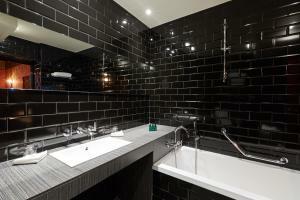 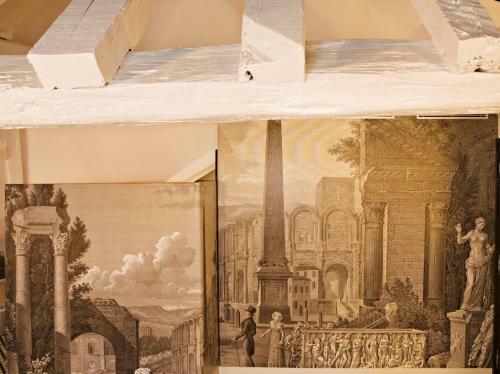 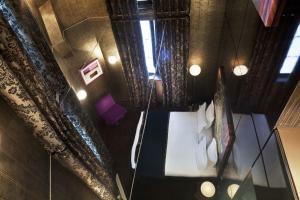 All rooms are unique and offer air conditioning, a flat-screen TV, minibar and safety deposit box. 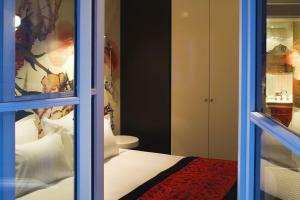 The en suite bathroom includes a bathrobe. 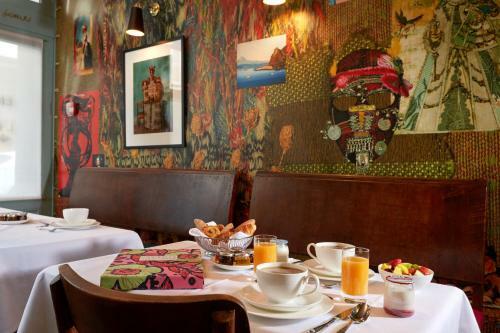 A continental breakfast is available each morning and it can be served in the guest’s room or in the hotel’s bar. 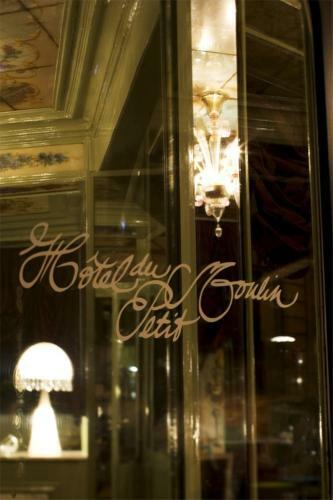 Restaurants are found within walking distance. 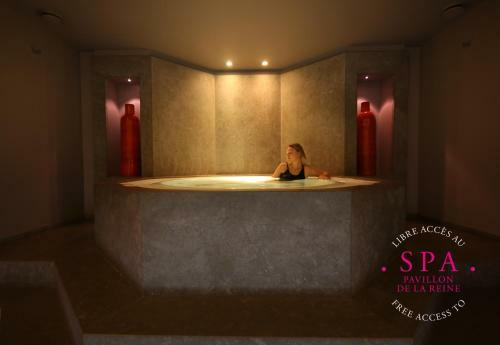 Guests can make use of the complimentary bicycles and enjoy free access to the spa at Hotel Pavillon de la Reine, just a 10-minute walk away. 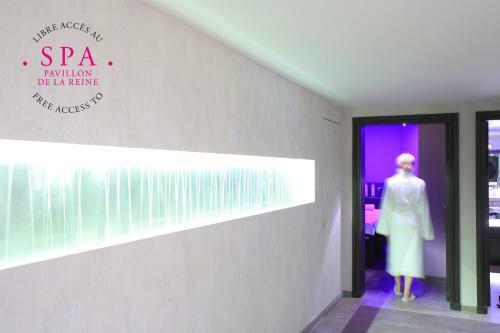 The spa includes 2 treatment booths, a gym, hot tub and steam room. 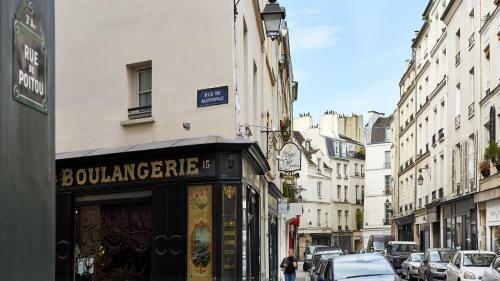 Filles du Calvaire Metro Station is only a 5-minute walk away and it offers direct access to the Eiffel Tower and Opéra Garnier. 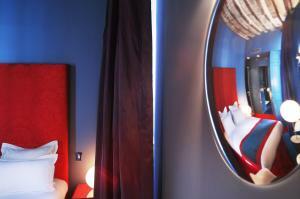 Massages are available upon request and free Wi-Fi access is available throughout. 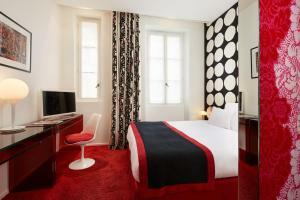 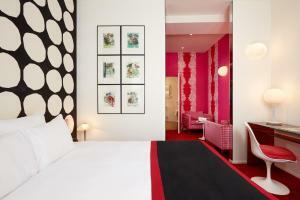 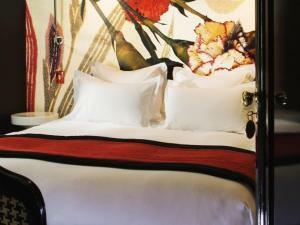 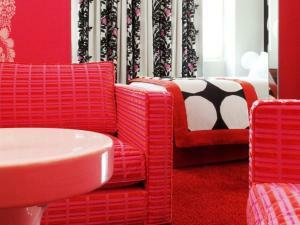 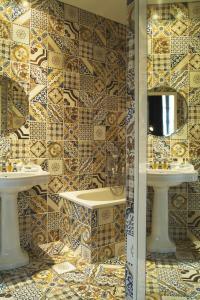 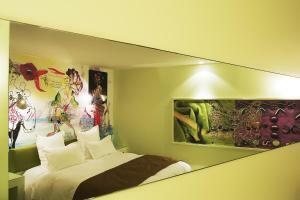 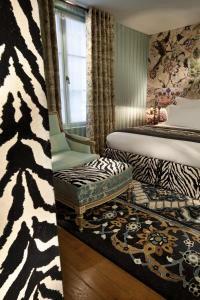 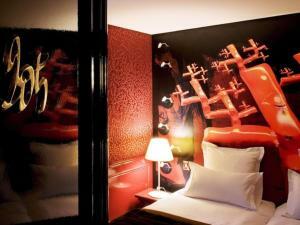 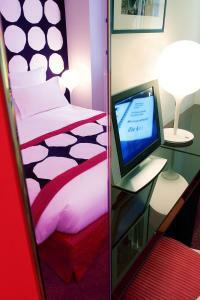 Decorated by Christian Lacroix, this air-conditioned room features a flat-screen TV, minibar and safety deposit box. The en suite bathroom includes a bathrobe. 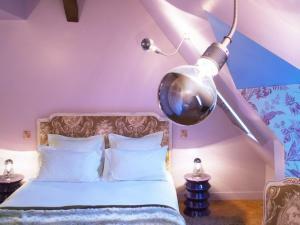 Rate: € 202.50 ... € 483.00; select dates below to get current rates. 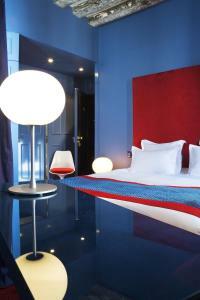 Rate: € 252.00 ... € 352.67; select dates below to get current rates. 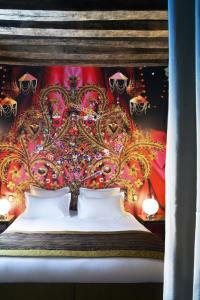 Decorated by Christian Lacroix, this air-conditioned suite is set in the attic and features a flat-screen TV, minibar and safety deposit box. 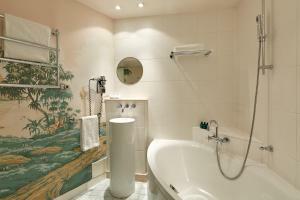 The en suite bathroom includes a bathrobe.